I am a Chandigarh based educationist. I did B.Sc. (Non-Medical) from Panjab University, Chandigarh in 1977; B.Ed. from Guru Nanak Dev University, Amritsar in 1979; M.Sc. 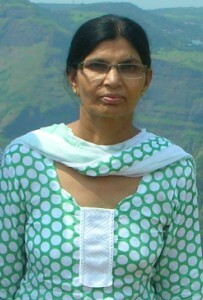 (Mathematics) from Himachal Pradesh University, Simla in 1993; and, PhD in Statistics in 2004. I am working in the Department of Education, Punjab since 1979 and have 33 years of teaching experience in Mathematics. I am presently posted as Lecturer (Maths) in Government Model Senior Secondary School, Ajitgarh, (Mohali). I have the privilege of being instrumental in shaping the career of hundreds of my students who have become Engineers, Architects, Charted Accountants, Computer Professionals, Managers, etc. In addition to my teaching duties, I worked for three years in Punjab EDUSAT Society, Mohali as subject expert. I worked extensively for the preparation of more than 100 episodes/modules in mathematics for class 11 &12. These modules are being relayed via EDUSAT throughout the state of Punjab for the benefit of the students of mathematics. Besides, I have delivered lectures in Mathematics for class 12 from EDUSAT State HUB, Mohali which were relayed live in the schools of Punjab. I have attended many seminars, workshops and training programmes conducted by SCERT, SISE and NCERT. Besides, I have acted as Resource Person in many seminars and workshops for teachers and introduced innovative techniques and teaching aids. I participated in various science exhibitions and won many awards for presenting innovative mathematical teaching aids. Apart from this, I encouraged and guided many students to prepare and present their models in science exhibitions. I have also been working for many years as examiner, evaluator and paper setter for PSEB and SISE. My contribution to the field of mathematical education has been largely recognized, and I have won many awards and appreciation letters from the authorities. Currently I am working on a treatise on mathematics for senior secondary classes.